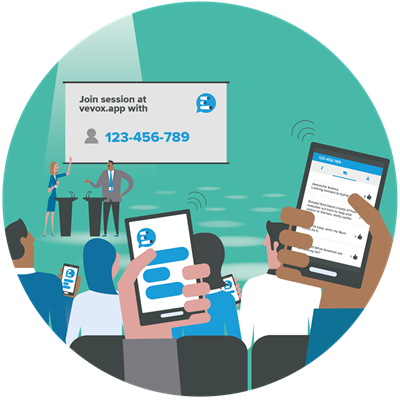 The Vevox App makes it simple for you to get instant feedback from your workforce, whether you’re running a team meeting, a town hall or company wide all-hands meeting. Even employees working remotely can join in! 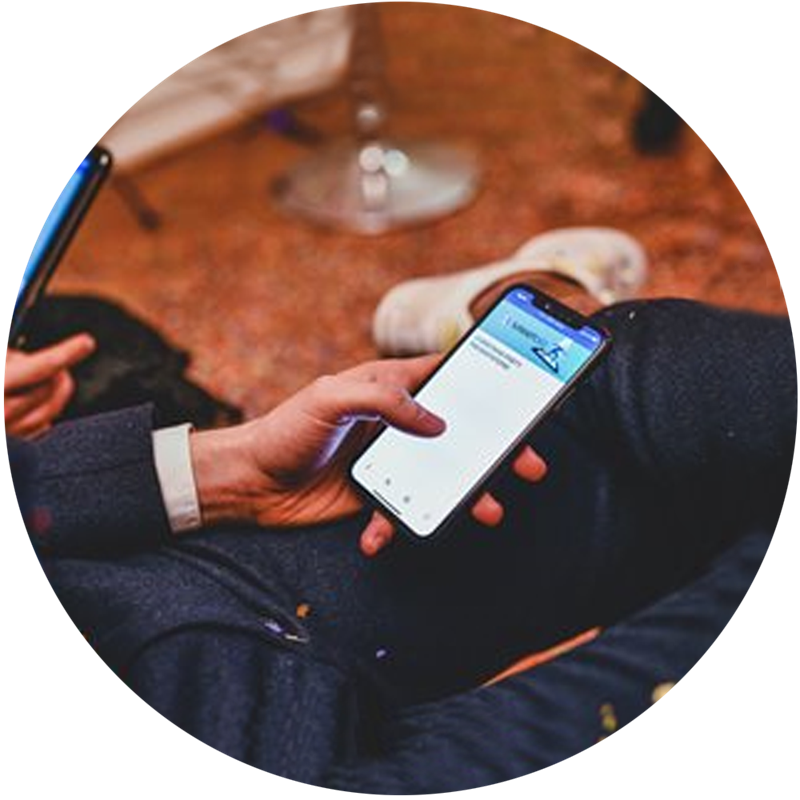 Live-polling with Vevox allows you to gather uninhibited, honest feedback within seconds, whilst also maximising employee engagement. Employees can also provide feedback or ask questions via Vevox’s Q&A feature. Moderation and anonymity settings allow you to stay in control and keep your meeting on track while still offering an open forum for staff to be heard. The best part? Vevox is so simple to use, just read our reviews! 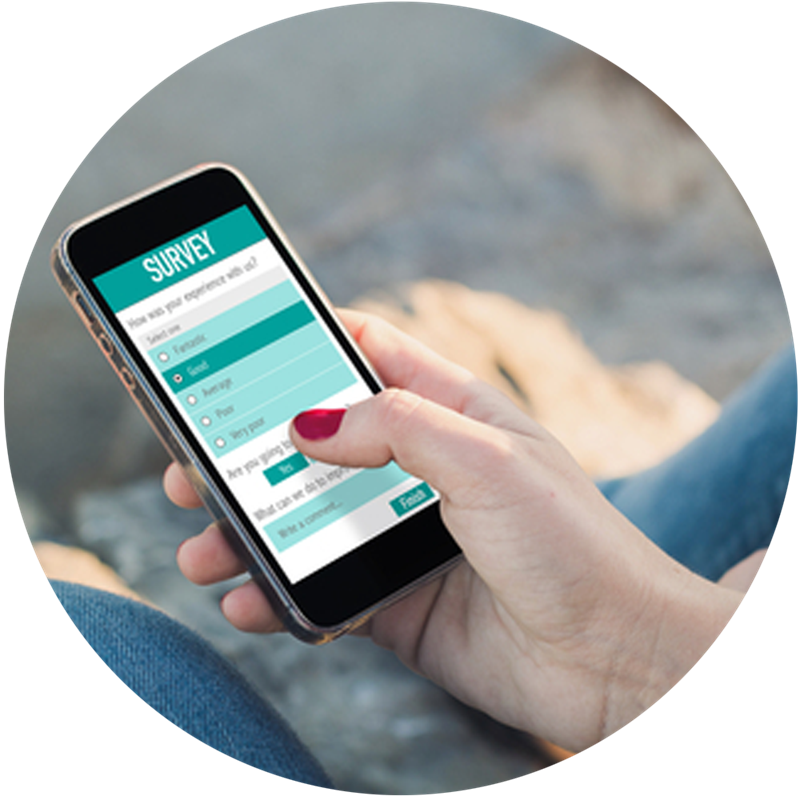 Create your first poll or survey in under a couple of minutes to find out what your staff are really thinking and increase employee engagement in the meeting room and beyond. Employees can vote on their smartphone or tablet via the Vevox app or on a computer with our web app. Whether in the room or joining remotely, employees everywhere can have a voice in your meetings. This blog will give you some insight in to how a digital feedback tool like Vevox can help you in gathering valuable employee insight and our 4 suggestions on how to get maximum value from your digital surveys. How can companies avoid mistakes in their meetings and workplace? Find out how the leading creative agency, Explain GmbH in Germany, use the Vevox app to involve all their staff in the feedback process. Engaging and understanding your workforce can be challenging for any organisation. This guide shares our top tips for increasing employee engagement and capturing vital staff feedback. You can upgrade your account any time from your Vevox dashboard. Upgrading gives you more participants, 24/7 support and resources to help you get up and running with Vevox.